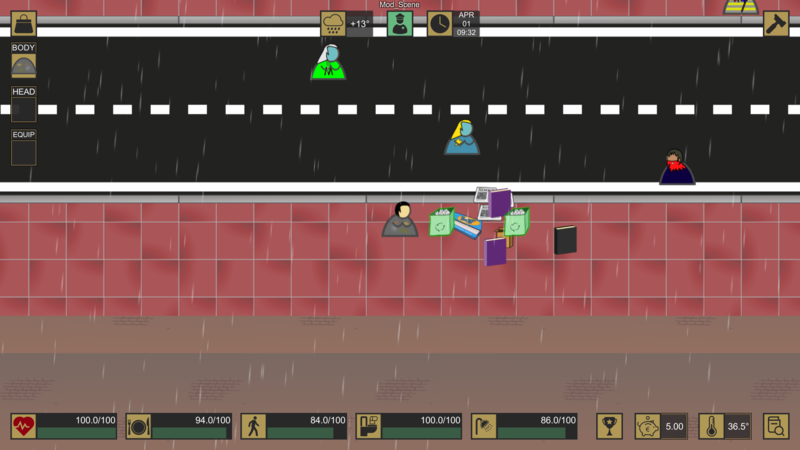 Now we will add a brand new spawner for the game: a paperbin spawning spare paper items. It will behave a lot like the regular trashbin but will contain different items and will have a differend sound effect. If you followed the previous guides you should not need to modify the mod descriptor! Please refere to the Spawner Modding Reference for a full explanation of all the properties exposed in there. Now that we have our spawner defined, we have to put it in an existing scene for us to test it. We added a number of paper_bin spawnes scattered through the map. In the new modded scene you will now find paper bin spawners scattered through the map!